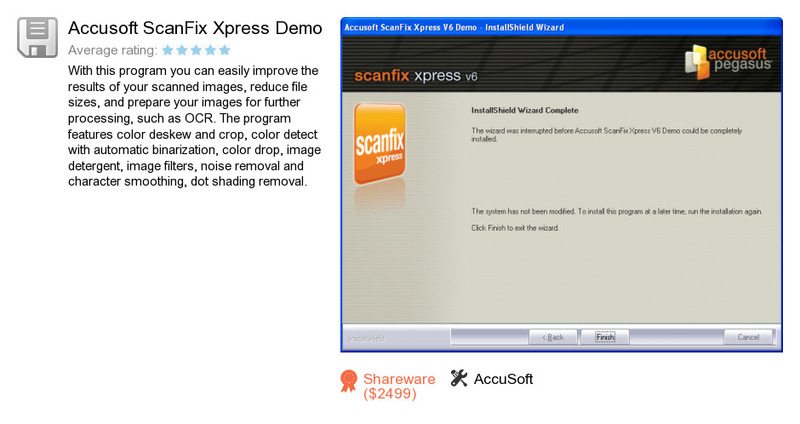 Accusoft ScanFix Xpress Demo is an application developed by AccuSoft. We know of version 6.0. Version 6.0 is downloadable at our site. Accusoft ScanFix Xpress Demo distributive has a size of 33,530,746 bytes. AccuSoft also publishes Accusoft Barcode Xpress for .NET and Accusoft MICR Xpress for .NET.